Our custom door option lets you choose all the details! Build your very own customized hand crafted door from a selection of door types, designs, finishes and accessories including strap hinges and decorative panels. Browse our tabs and find your favorite options. Classic doors are the introductory series into our custom doors. Though it offers fewer options it also comes in at a more budget friendly price point. Choose from three popular door types, four unique door styles and burnished or hammered finishes. Our laser cut Elegant doors provide the hand crafted feel without the artisan price. With fifteen door styles and thirteen powder coated finishes to choose from your sure to find the perfect fit for your home. If you aren't in love with a folding door design our barn door option may be perfect for you. An iron track located above the doors allows them to glide to either side of your fireplace opening. Our pocket and telescoping door series offers a wide selection of both pocket and telescoping style doors. These intelligently engineered doors slide into your surround leaving your hearth open. Fireplace Refacing Option. These minimalism frames are sleek and add a touch of modern while keeping the industrial feel. These doors are a great option to turn your fireplace into a tasteful accent for your room. Available with almost all options for handles, door designs, and finishes. 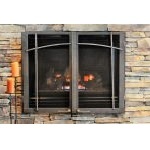 They are a great option for fireplace refacing for zero clearance louvered fireplaces. Fireplace Refacing Option. 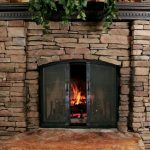 Turn your old louvered fireplace into a gorgeous focal point. Choose from our six most popular door types and all nine door designs. This door will incorporate your louvers with our designs and provide you a new updated look. Fireplace Refacing Option. 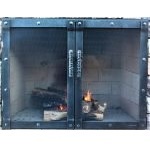 Ironhaus express screens provide the fastest option to give your fireplace a facelift. 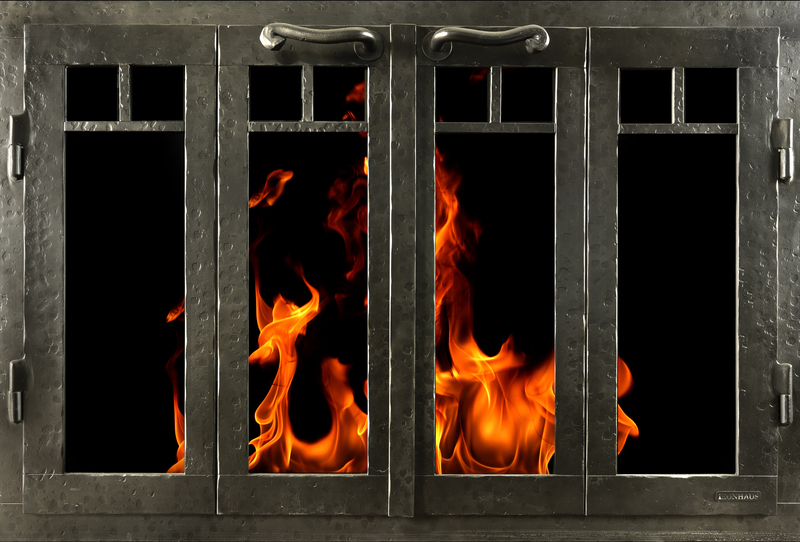 The screens magnetically attach to your existing insert giving you the look of a high end fireplace door with the ease of a single piece screen. The magnetic attachment system ensures convenient installation and removal. The design for these doors are almost as versatile as the regular doors. Choose from over nine styles and door designs, all available finishes, door panels and more.